Hola book lovers! There’s no better feeling than being wrapped up in a blanket cuddled up with your favorite book, a cup of garam chai and the winter chill that’s gonna hit us all pretty soon. Words comfort the aching soul and that tantalizing smell of a book is enough to take our breath away. So if you secretly look forward to rainy days as the perfect occasion to curl up and read (we know you do) and books are your turn on, then this is for you! Like every true Delhite, here is your judgaad, kyunki books kar rahi hai tumhe pukaar! 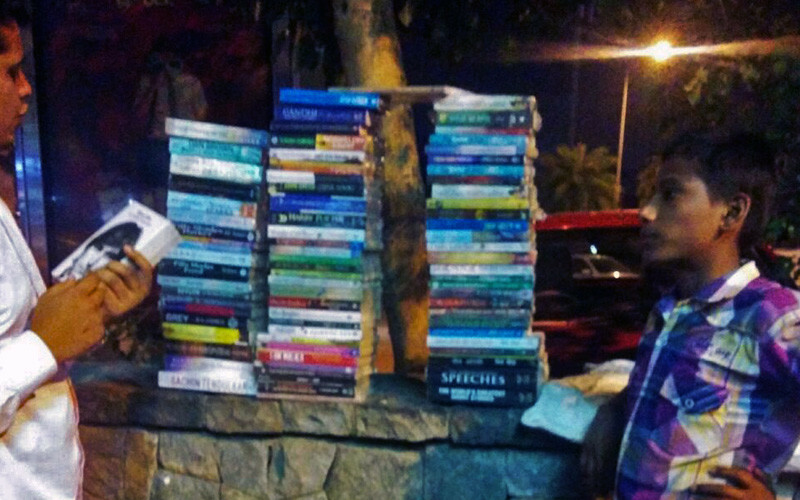 Head to these metro stations for a sasta and tikau collection of books. Happy book burrowing! From Hauz Khas Village to SDA Market, from coaching institutes to fashion and design boutiques in Shahpur Jat and Lado Sarai, this metro station attracts youngsters just a little bit more than the scores of others. Which is why it undoubtedly has become one of the coolest places to hang out. And books? Yes. Have a look at the sasti books on offer here the next time you travel. 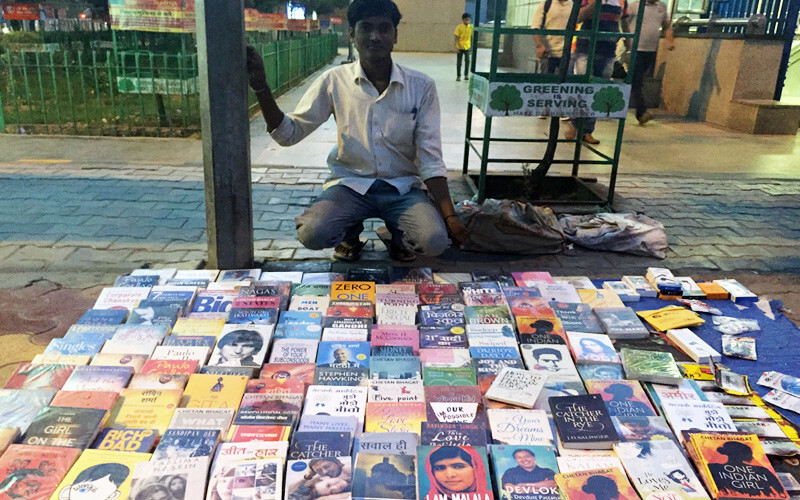 The proud owner of this 4-year old stall, Hitesh, talks about famous writers such as Paulo Coelho and Chetan Bhagat as he excitedly piles these books and others which are doing quite brisk business. If ‘The Alchemist’ inspired you even a little, then the soothing quotes of Zahir will make you believe in the magic of words all over again. A quotes person? Then go grab your copy today! Pick up your favorites from this famed thela and kick all that travel fatigue away by sipping coffee from CCD which stands bang opposite. A lot can happen over coffee and books, no? This place has a food lane as well called Khau Galli, where a lot of street food can be found. Serving mouth watering delicacies, it is undoubtedly a true foodie’s paradise. Drop on by! 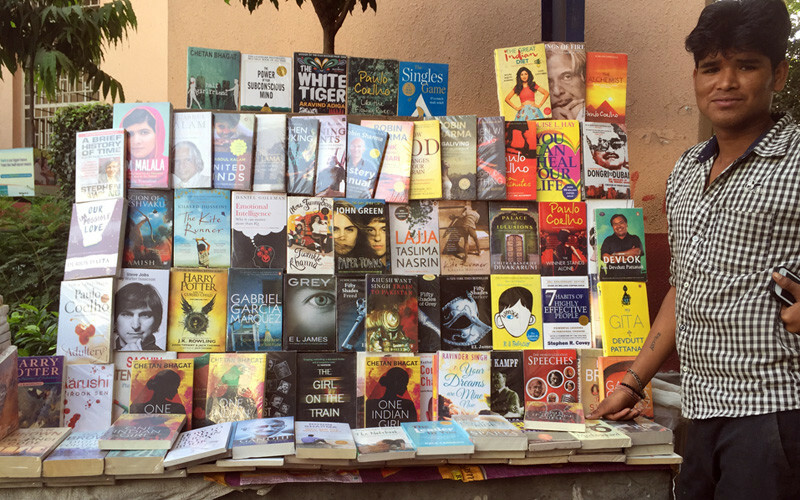 “Madam Ji, yeh bahut chalti hai aaj kal,” says Arvind who is the happy face of this book stall as he points towards Fifty Shades of Grey. “Yeh abhi abhi aayi hai, aap yeh dekho,” he hands me Chetan Bhagat’s latest book, One Indian Girl. 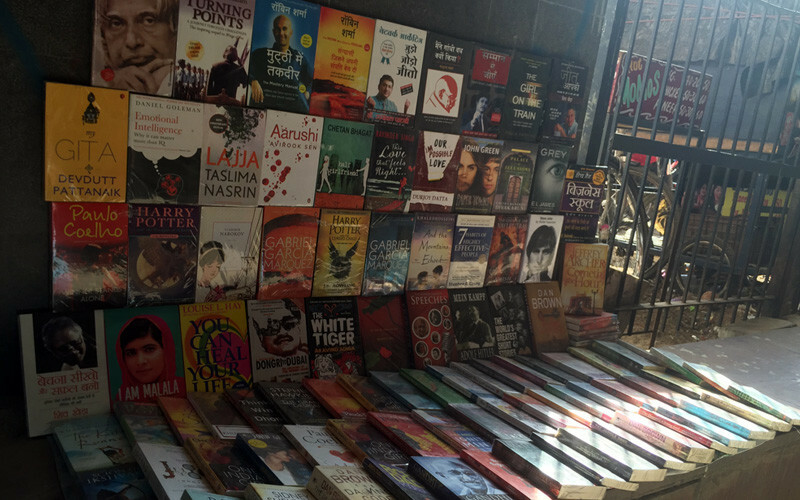 With a wide collection of latest books here, this metro station is located between Jangpura and Moolchand. Books are calling y’all - see you there! From vada pav thelas to a proper food court, from books to a sport store, this metro station has got your back! The next time you commute, you know where to go for sasti and tikau books as well. The transformation of Nehru Place Metro Station into a hub of known bars and restaurants made it a must-stop haunt for every Delhite and Huda, we know you’re next on the list! This metro station is located between Kalkaji Mandir and Okhla Station on the Violet line. 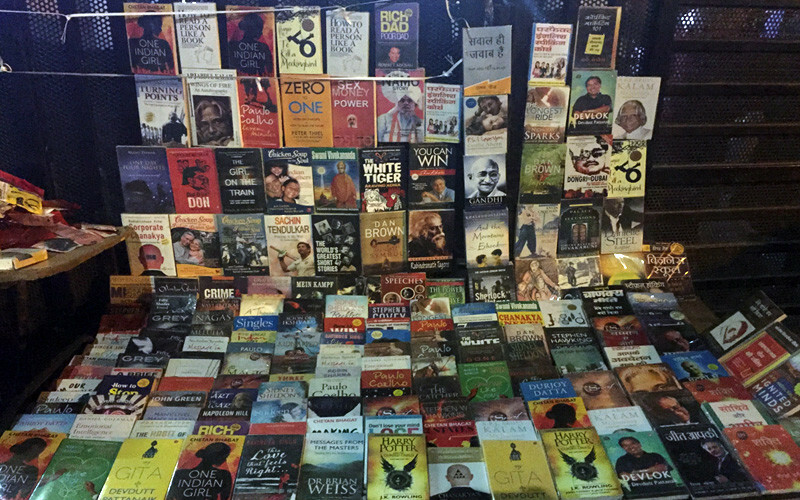 A variety of novels are available here with other street food stalls sitting right next to it. Be it the golgappa wala or the momos thela, pick what may you like. Let books brighten your day and yummy food fill your tummy so do drop by someday, and check ‘em all out! 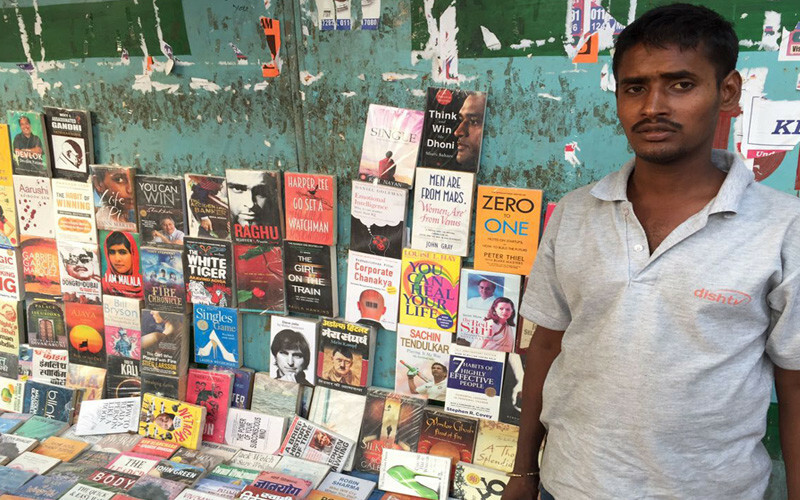 Sahitya Akademi Metro Bookshop at the Kashmere Gate Metro Station is a newfound love to many bibliophiles. The ambience and the interiors will make you realise why you fell in love with books all those years ago. With newer concepts such as bookstores and poetry events being introduced in Delhi Metro, it is surely becoming a hub of art and literature and we’re swooning with pride already! Psst - There’s a 15% discount to all metro card holders, and 25% off to members of their book club! So there you go - we’ve just taken away all your excuses for not picking up a book now - happy reading!